It would be easier to swap to a backplate and immediately be able to drop 6-10 lbs. I dropped 12 lbs going from my standard jacket style BCD, the Ranger will probably drop a bit less. 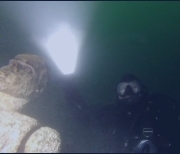 Granted, I have an oddly heavy tank, but I dive in 16 lbs in my drysuit. Could probably drop a few pounds from that as well. 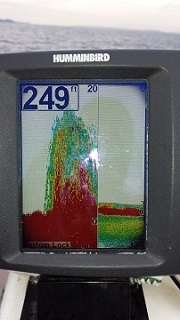 16 lbs was about perfect in an HP100. My tank is a few lbs more negative than that. Aluminum tank? Go to steel and lose about 6# with no other penalty. 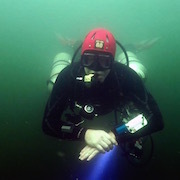 FWIW, you simply have to figure out what specific part of the kit is contributing to your buoyancy, then see if you are willing to deal with the expense and trouble of switching. Like, going from a Ranger > Back Plate/Wing likely won't do squat for buoyancy. Redistributes the weight, more stable tank, trimmer, carries weight better, etc, but not likely do much for improving actual weight required unless the Ranger is adding some float. Sounds like that's a full 6mm thickness 'standard' density neoprene? 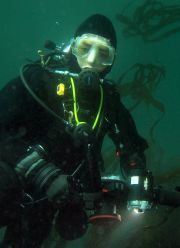 I had a 6mm standard neoprene Bare suit I borrowed for a couple months when my shell was in the shop getting new boots. It fit very well. I was excited since I thought the neoprene would provide insulation comparable to my original 7mm wet-suit AND be DRY! What I found was the warmth was decent to ~60', then the neoprene got so compressed I got cold, just like the wet suit. I had to add back ALL the insulation I used with my shell suit. FWIW, I'm small and skinny, and prone to being cold. I also found the bouncy swings was actually worse than the shell. Not only did I have the dry suit bubble, but I had to deal with the compression swings of the neoprene. I ended up not being terribly impressed. Happy to get my old shell back. It wasn't warmer, but is was less to deal with. THEN, a few years later my wife and I went to a top of the line/custom 5mm COMPRESSED neoprene Seasoft. We had both been using shells for years. Over the first half dozen dives we gradually dropped 6#, AND increased out bottom time ~10-15", with no penalty in being cold. The suit was that much better. There has been a move away from neoprene to shells in the community. Damned if I know why. They simply are not as warm as a GOOD/COMPRESSED neoprene suit using GOOD neoprene. Be aware, there are LOTS of grades of neoprene and you generally will have a hell of a time finding out that specific info from the manufacturer or retailer. 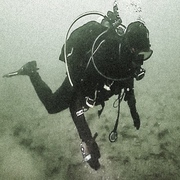 Divers that use the D6 Pro suit usually report that it is quite buoyant even with relatively thin undergarments. You could try using the equivalent of a single layer of medium weight Polartec, or possibly Fourth Element Xerotherm. That would reduce the bulkiness under the suit, and also the amount of lead you need to carry. Moving to a shell suit would represent a big leap in the other direction as far as undergarments and weighting are concerned. A middle ground might be a compressed neoprene suit such as Bare's XCS2. It provides some warmth of its own, and does not compress noticeably at depth. This makes buoyancy somewhat easier to manage. Your BCD might also be contributing to the buoyancy of your rig if it is one of the padded jacket style ones. Many of us prefer a simple steel backplate to get better streamlining in the water and reduce the amount of lead we need to carry. CaptnJack- I did a weight check with 500psi at 15’ with 40# and had trouble holding steady. I was diving with a DM and she suggested I add a couple lbs. My hope was to lighten the lead that I carry. If changing to a shell drysuit would significantly reduce what I have to carry I would start looking at a different drysuit. But I will likely hold off on making any decisions until I have more dives and see if I get more proficient. I would do a weight check at 6-10ft with a near empty tank before changing anything else. I.e. confirm 44lbs is the right amount. I wear 44 lbs with my drysuit. I could dive with a lot less but I want the insulation. With a full tank I sink like a rock when I let the air out of my BCD with my shoulder valve open. With a nearly empty tank I can keep some air in my suit for warmth while holding 10 feet or less but my BCD will be empty. Air is insulation. Two things, first get 20 more dive in the suit before you make any rash decisions. Number 2, a thinner undergarment might be in order. Especially considering you don't get cold at all. The neoprene suits have some insulation built into them. My dive buddy that is standing next to me, says you might be able to just use long johns with a neoprene suit. If I were to change to a shell drysuit with my current undergarment or possibly a weezle, would the required weight to decend be a significant improvement that I could control my boyancy at depth without adding a bunch of air to my bcd ( Zeagle Ranger). Or would I be better off sticking with my current drysuit and just figuring it out. I also would like to be 10-15 lbs lighter walking to and from the dive site. I have read that a neoprene drysuit has a boyancy change of up to 20 lbs at a depth of 60 feet and below. If that’s true then that is a big enough change that I would switch to a shell.